British physician William Harvey fully described the circulation and properties of blood in 1628 and blood transfusions were unsuccessfully attempted soonafter. 40 years later, French King Louis XIV's physician performed the transfusion of blood from a sheep to a 15-year old boy who survived the ordeal. Transfusions were rarely performed, the common belief was that bleeding a patient would have better results. In 1901, Austrian physician Karl Landsteiner documented the first human blood groups, A, B and O and established the basic principals of ABO compatibility. During WWI, anticoagulants such as sodium citrate were found to prolong the shelf life of blood and refrigeration was introduced in an effort to preserve it even longer. After the war, Edwin Cohn developed cold ethanol fractionation, a method of breaking down blood into its component parts. However it was during World War II that large-scale blood transfusion was introduced. Blood storage methods developed that would allow this precious resource to be made available on the battlefield and an industry developed around its collection, storage and supply. At the end of the war this new industry effectively marketed their services to hospitals and medical instututions. In a post-war world, the slogan, 'blood saves lives' was hardly questioned - after all, hadn't it saved countless lives in a time of war? Blood transfusion was assumed safe and was readily introduced into all forms of surgery. With little or no research to prove otherwise, transfusion became accepted as the default position for medicine and surgery globally. However there were some who questioned the liberal use of blood and saw increasing evidence that surgery without blood transfusion could produce as good or better outcomes in patients. Among these pioneers of bloodless medicine and surgey is American surgeon Denton Cooley, generally recognised as the 'father of modern bloodless surgery'. In 1957, Denton Cooley, working at the Texas Heart Institute, performed open-heart surgery without the use of a blood transfusion - quite a feat as at that time up to 12 units of blood were generally used just to prime the heart-lung machine. By the 1970s, other surgeons were reporting similar success with bloodless surgery. In 1973, heart surgeon Dr. Jerome Kay, writing in The Journal of the American Medical Association noted similar success: "We have now done approximately 6,000 open-heart operations in Saint Vincent's Hospital in Los Angeles. Since we have not been using blood for the majority of patients, it is our impression that the patients do better." Also in the 1970s The Institute of Bloodless Medicine and Surgery was established in California. Headed by surgeon Ron Lapin and anesthesiologist Fred Garcia, the institute brought together a co-ordinated, formal program specializing in all the disciplines of surgery without blood. By 1986, thousands of patients had undergone major surgery and anesthesia without the use of blood or blood products - even emergency operations had been carried out successfully on patients who had lost up to 90% of their blood volume. In 1981, the US Centers for Disease Control and Prevention alerted the blood industry to an emerging threat. Dr. Bruce Evatt, a hemophilia specialist, had identified a surge in Pneumonocystisis carinii pneumonia (PCP) cases in hemophiliacs, attributing this to the use of Factor VIII, an essential blood-clotting protein distributed by the blood industry. They also noted reports of a cluster of cases of a rare cancer, Kaposi’s Sarcoma, among a group of gay men in the U.S., almost all proving fatal. A year later, the term AIDS (acquired Immunodefficiency deficiency syndrome) was first used and defined as: “a disease at least moderately predictive of a defect in cell-mediated immunity, occurring in a person with no known case for diminished resistance to that disease.” By 1984, researchers had identified the cause to be the Human Immunodeficiency Virus (HIV), transmitted through sexual contact, needle sharing and blood products. The blood industry had to act and by 1985 blood screening tests for the virus were introduced. Unfortunately this delay had been disastrous for hemaphiliacs, with many contracting the disease through the use of blood products. By the 1990s, more restrictive conditions for blood donors and better treatment of blood products had been introduced - today the incidence of blood-borne HIV infection is low in developed countries. However HIV continues to be a concern worldwide. According to the World Health Organization, in 2014, 36.9 people were living with HIV in the world. During 2014, there were also 1.2 million AIDS deaths. The AIDS epidemic highlighted the obvious benefits of an alternative that reduces or eliminates the use of allogeneic blood products. Interest and research into bloodless surgery programs and techniques accelerated along with the number of institutions willing to offer this form of alternative treatment. Along with the many bloodless programs being offered in hospitals worldwide, by the end of the 1990s organizations comitted to a new way of thinking began to emerge. Blood management would be the new standard of care and transfusion the alternative. 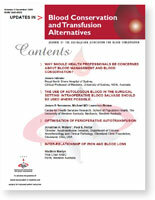 Organizations such as the Society for the Advancement of Blood Management (SABM), the Network for the Advancement of Transfusion Alternatives (NATA), the Australasian Association for Blood Conservation (AABC) and the Medical Society for Blood Management (MSBM) sought to expand the information base by promoting and supporting research and collaboration into blood management. The growing volume of research showing the benefits of reducing or eliminating blood products was beginning to be noticed by hospitals, governments and regulatory bodies around the world. 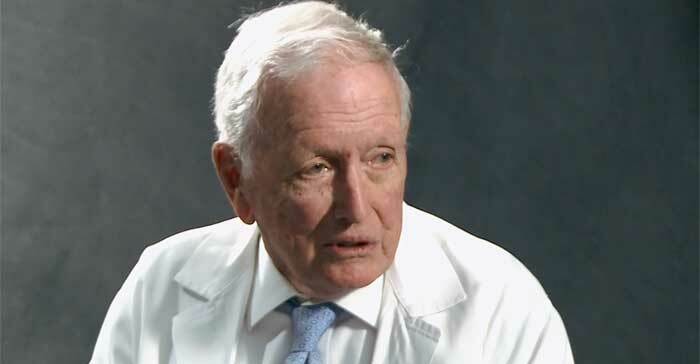 In 1998, Professor James Isbister, a haematologist from Australia, first proposed a paradigm shift back to a patient focus. (Article: The Paradigm Shift in Blood Transfusion) In 2005, he penned an article in the journal, 'Updates in Blood Conservation and Transfusion alternatives'. 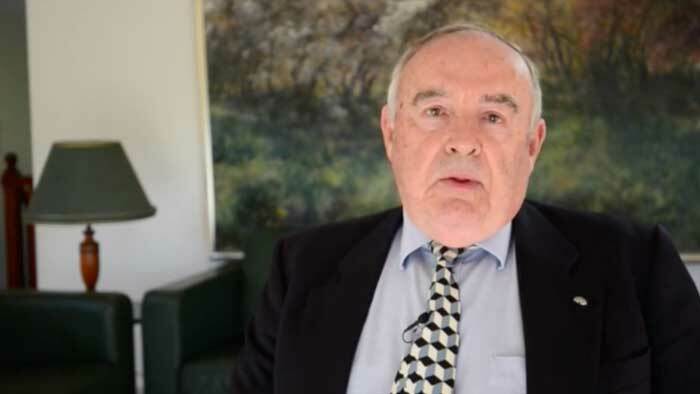 In this article Prof. Isbister coined the term 'patient blood management', noting that the focus should be changed from the product to the patient. To read this article, please click on the image below. Updates in Blood Conservation and Transfusion alternatives, Dec 2005. The shift away from standard transfusion practice to Patient Blood Management is gaining momentum worldwide. However it is a 'paradigm shift' that will take time to finally become the new 'gold standard' of care. Organizations such as the International Foundation for Patient Blood Management are at the forefront of this shift. Established in 2015 as a not-for-profit Swiss Foundation, the Foundation's aim is to improve patient outcomes by promoting, expanding and improving evidence-based Patient Blood Management in clinical practice. Driven by the world’s leading PBM experts and grounded in scientific validation and evidence-based practice, the Foundation promotes education and training in Patient Blood Management to enable change.